Every maker has a story. Be a part of Fiberworks By Sharron Parker's story by placing an order, leaving a review, and seeing your review appear here. 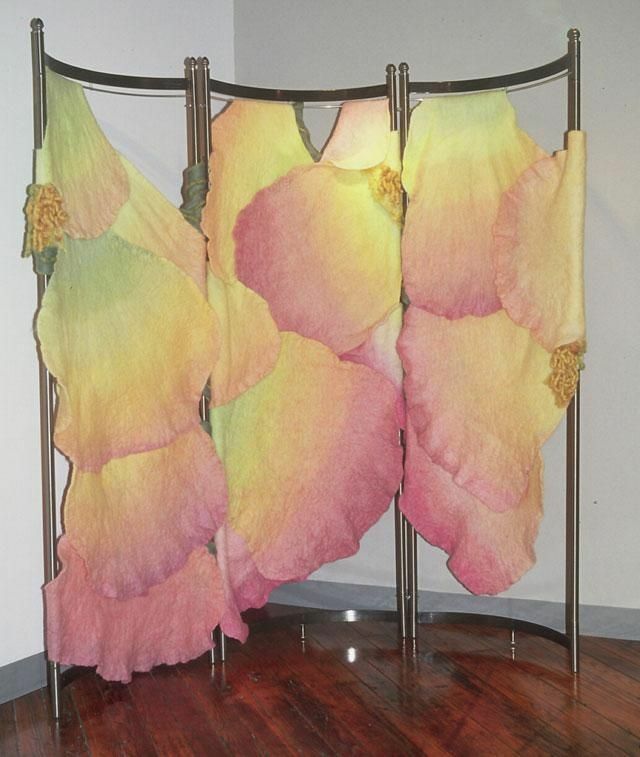 A room screen made of handmade felt ( made from dyed, unspun wool with wool yarns). On one side is rose petal imagery, and on the other side a vine and soft thorns are seen behind the petals. The screen is can be positioned into various curves; in a gentle curve it measures 76" high x 58" wide x 34" deep. It is easily cleaned by vacuuming through mesh (provided).